Wright Lab has named Research Scientist James Nikkel as the inaugural Wright Lab Associate Director for Instrumentation and Education. Nikkel has been at Yale for 11 years, including 3 years at Wright Lab. 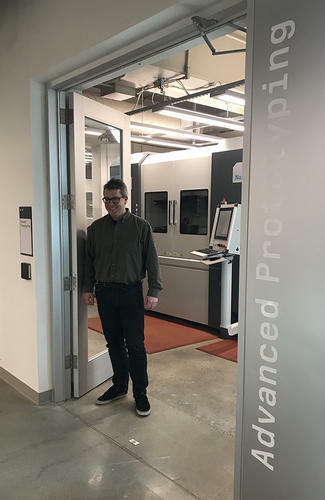 He has played a critical role in a number of research projects at Wright Lab, and he led the installation and startup of the new Advanced Prototyping Center. In this new role, Nikkel will help develop the instrumentation initiative at Wright Lab and oversee the operation of the Advanced Prototyping Center. He will also take a lead in developing and teaching workshops, courses, and training programs related to the activities and shared core facilities at Wright Lab.